Multisensory Activities for Children with Special Needs & SEN + Home-School Tips / Part 2 – Naomi Mc Laughlan – MBA, BA, Prof. Qual., S.A.C Dip. Welcome back to part 2 of my ‘Multisensory Activity Series’! In this post, I share how you can integrate and help stimulate the senses of your child in a Visual, Auditory, Tactile and Kinesthetic activity. Step 1: Wash and slice the strawberries. Step 2: Peel and slice the banana. Step 3: Melt the chocolate, either in the microwave or in a bowl over boiling water. Step 4: Spike the fruit alternating on the skewers. Step 5: Carefully roll the kebabs in the chocolate. Please note: We used non-dairy chocolate, as my daughter has serious food allergies and we avoided the use of nuts for the same reason, but nevertheless you could use chopped nuts or Crunchy Nut Flakes or similar to create more varieties. SEN Tip: This tactile and kinestetic activity is excellent, as it allows your child to create an edible treat. If strawberries are currently in season in your country, you could pick them yourself, which is another way to enhance this activity. Home-schooling Tip: You can use this activity to explore the how and where bananas grow, how they are transported and how they ripe. Or explore the origins of chocolate; you can learn about the ingredients of chocolate and how they are transformed to chocolate products, or how cocoa beans grow and in which countries. Step 1: Consider what how you would like to decorate the box. Step 2: Cut the paper into shape and glue on around the box, you could tear the paper instead of cutting and create a collage instead. Step 3: Decorate the Doodle Box with pipe cleaner. Step 4: Fill the box for later use. SEN Tip: This tactile and visual activity is excellent to practice fine motor skills and imaginative thinking. It also allows your child to get creative whenever your child feels bored, on a rainy day for instance. 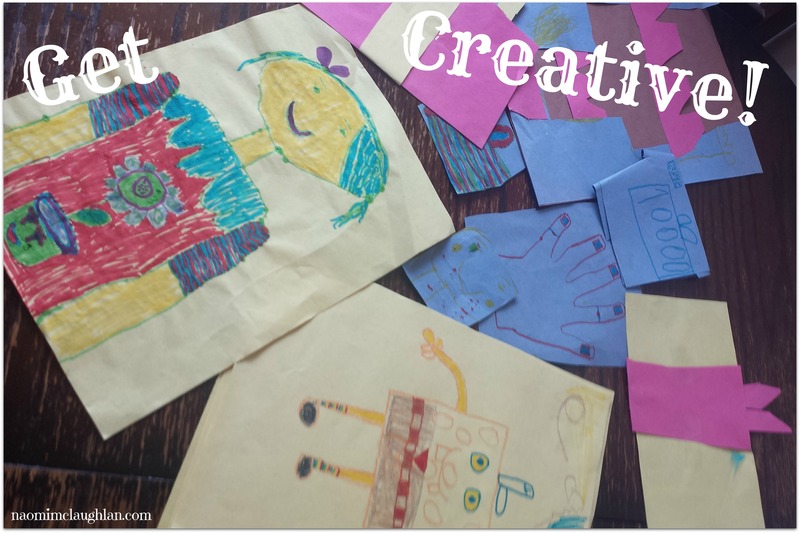 Home-schooling Tip: You can use this activity to explore Creative Arts, by for example incorporating a trip to the Arts Centre and get inspired by current exhibitions. Make your own book – after watching this video you should be able to do so! Please note: Depending on the age of your child or children, you might have to help with the sewing of the pages. SEN Tip: This tactile and visual activity is excellent to practice fine motor skills and imaginative thinking. It also allows your child to use materials gathered in his or her Doodle Box. Plus is you make up rhymes or poems to fill the book with, it becomes an auditory activity too. Home-schooling Tip: You can use this activity to explore story writing,rhyming or creating poems after making the book.